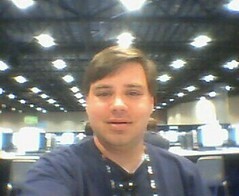 Here I am in the CommNet at TechEd 2005 in Orlando. Thought I’d try out my camera phone. Incredibly exciting isn’t it?